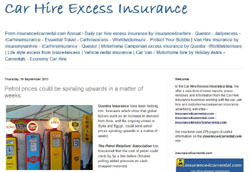 Back in late September 2009, insurance4carrental.com started advertising van hire excess insurance for the Towergate Underwriting Group product "insuremyvanhire.com". Philip Suter of jml Property Services said" We have been monitoring the information provided by insuremyvanhire.com over the past three months. There have been over eighty individuals who have purchased the van hire excess product and number are still increasing." 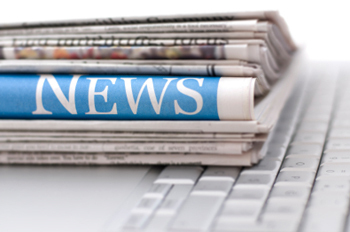 "Some of these van rentals could be due to the increase in VAT in the UK from January 2011 and individuals are buying large items of furniture from low cost retailers like IKEA and transporting the goods themselves." Other reasons for increase in van rental can be the fact that there a very buoyant property rental market at the moment as so many people are now renting instead of buying a property and when they move, they move themselves. According to the stats from the advertiser client the majority of consumers are male and the majority of van hire insurance coverage is for one or two days. The cost is £7.99 per day. 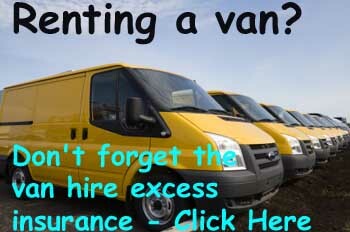 Apart from arranging your van hire excess insurance, you can also arrange van rental as well at insurance4vanrental.com site. There are thousand of vans rented out every day in the UK and you can also arrange van hire, car hire and even motorhome hire via holiday autos. jml-property-Insurance.co.uk is part of jml Property Services, the trading name of Jeffrey Milner Ltd. The company is an UK based company that was established in 1979. jml insurance acts as a web promoter for insurance companies selling property insurance including landlord and tenant rental products, pet insurance, wedding insurance, motor insurance, car hire excess insurance (via www.insurance4carrental.com), van hire excess insurance (via www.insurance4vanrental.com),motohome insurance (via www.insurance4motorhomerental.com ),travel insurance and non standard insurance products. They also operate jmlvillas.com an online marketing service for owners of holiday home property to advertise and are part of the jml Group that includes jml Training and Consultancy.